Bus Charters Company in Brooklyn there. 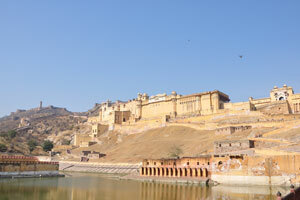 Comfort Express Inc.
Lost grandeur, elephants, cobbled streets, ruins of temples and havelies, step wells and the most beautiful lake in Jaipur. 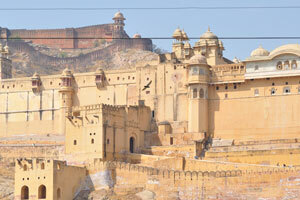 Every stone here seems to speak of a bygone era. Very little traffic and a serenity not found in the city. 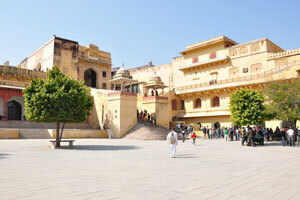 Within the city are numerous fine buildings such as palaces, temples, cenotaphs, mosques, tanks, and wells, dwellings of officials and high priests, and private houses. 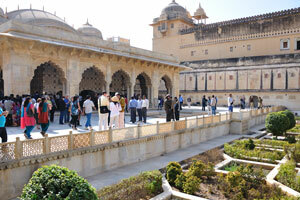 A visit to the Amber Fort needs to be done separately as there is much to see there and would require a lot of time. 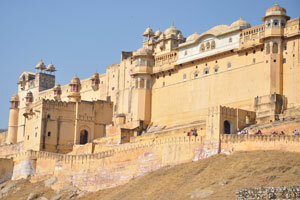 However, you can first visit the fort and walk down from there to explore this township and see its various temples and deserted havelies. History. 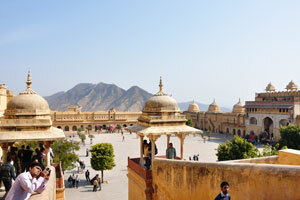 Little is known of the history of Amber before the advent of the Kachchawas. It was under the control of the Susawat Mina tribe. 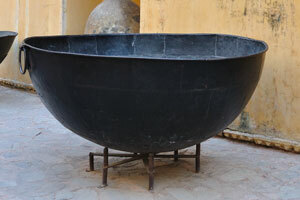 There are hardly any remains worth mentioning that can be ascribed to the Meena chiefs and it seems probable that the home of the Amber Rajas must have been somewhat insignificant before the sixteenth century AD. 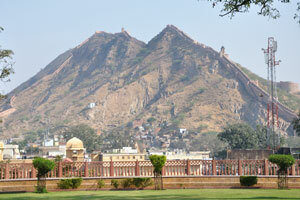 Among the well-known rulers of Amber were Raja Baharmal (AD 1547-1573), Raja Man Singh (AD 1589-1614) Mirza Raja Jai Singh (AD 1621-1667) and the founder of Jaipur - Sawai Jai Singh II (AD 1699-1743). 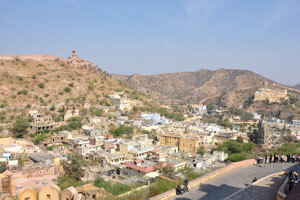 Jai Singh II moved his capital to the new city, and Amber was abandoned almost three hundred years ago because the existing population of nobles and their attendants moved with the court to the new city of Jaipur. 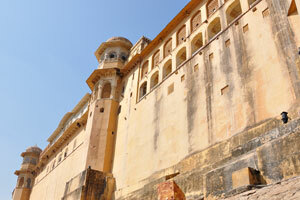 By AD 1731, the history of the Kachchawahs shifted from Amber to Jaipur and Amber was reduced to a ghost town. 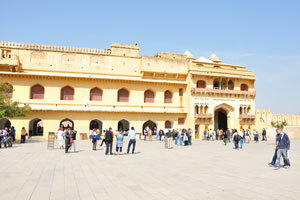 Spherical panorama 360° « Front view of the Amber Fort ». Click on this image to open up a 360° panorama. 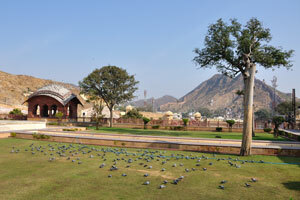 Parking place near Amber Fort is full of pigeons. 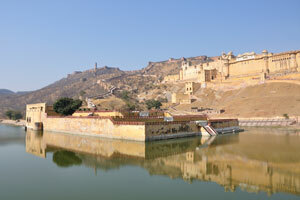 Mahota lake is located in forefront of Amber Fort. 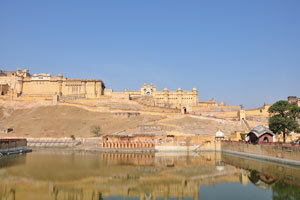 View of the Amber Fort from Mahota lake. 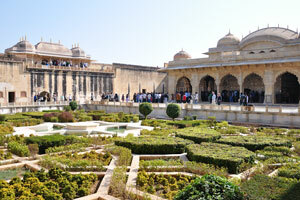 Grass lawns on the way to Amber Fort. 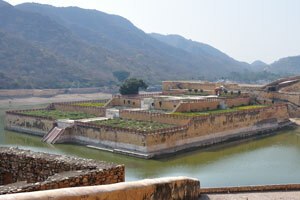 Amber Fort is full of beauty. 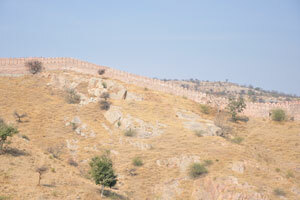 Boundary wall on the hilltop. 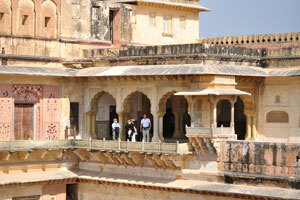 Architecture of Amber Fort consists of medieval Rajput elements. Watchtowers in the light of morning sun. Garden in the midst of Mahota lake. Korean women sit on the back of the elephant 115. 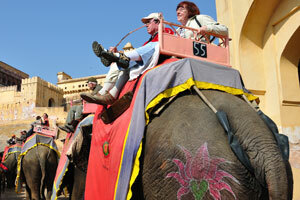 Tourists sit on the top of the elephant. 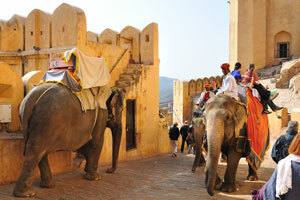 The elephant full of tourists goes up to the fort. 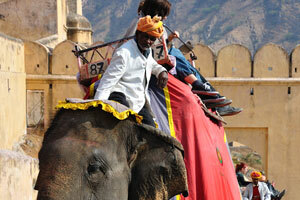 The empty elephant goes down back. 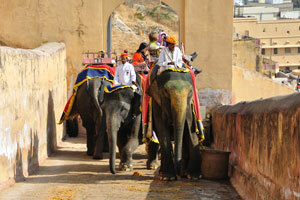 Elephant ride on the cobbled pathway to the fort. 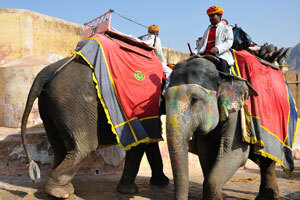 Elephant riding at Amber Fort. Some buildings were destroyed by the time. 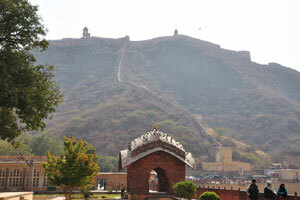 Pedestrian pathway to the fort. 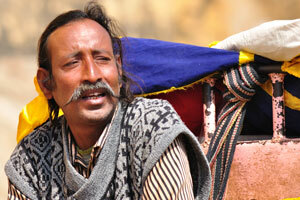 Elephant ride is full of turbulent emotions. 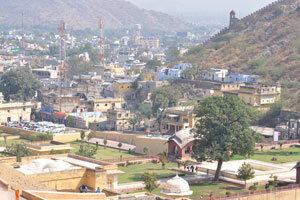 Jaigarh Fort as seen from Amber Fort. 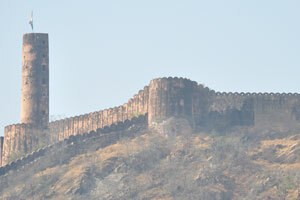 The wall and the watchtower of Jaigarh Fort. 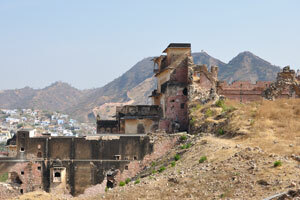 Small town between Jaigarh and Amber Forts. 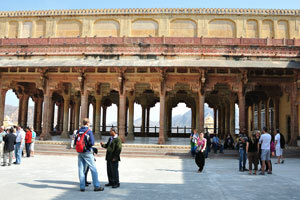 Hindu temple inside the Amber Fort. 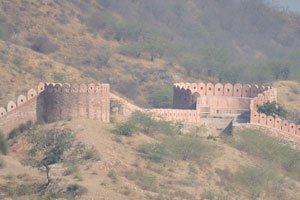 Entrance gate of the fort is on the right side, and it is called Suraj Pol, or the Sun Gate. 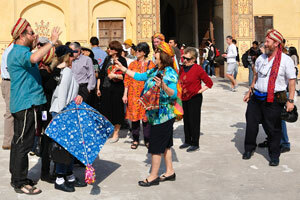 Foreign tourists take great delight in viewing surrounding architecture. 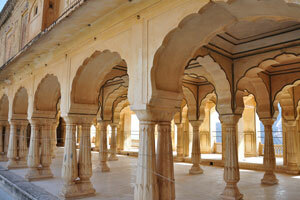 Sattais Kacheri is a colonnade of 27 pillars. 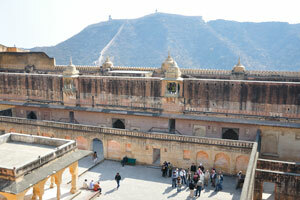 The third courtyard has two buildings, one of them is called the Jai Mandir. 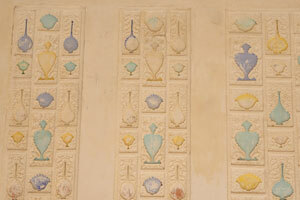 Wall decorated with sculptures of flowers and bowls in the Sukh Niwas. 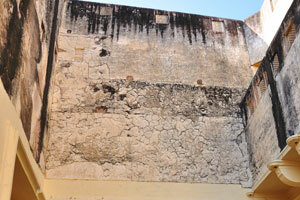 The back side of Ganesh Pol and Jai Mandir. 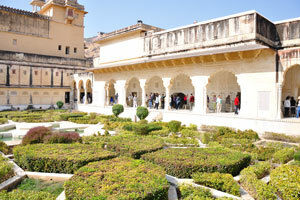 Aram Bagh, the pleasure garden. 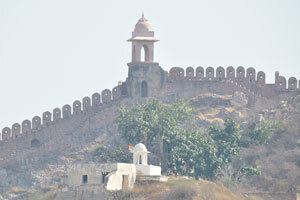 This hill is the foot of the Jaigarh Fort. 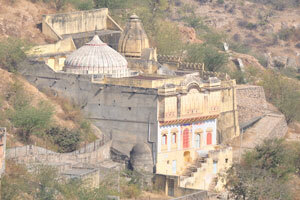 One of the town temples. 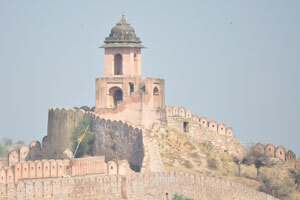 Watchtower is found on the edge of the hill. 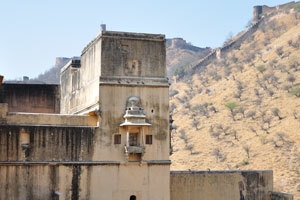 Buildings are protected by the defensive walls. Defensive walls have the special round structures at the top points. 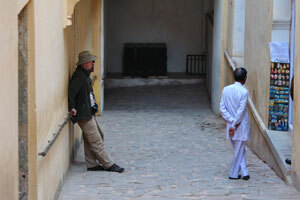 The fourth courtyard is where the Zenana lived. 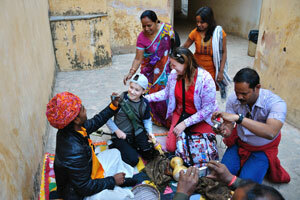 Snake charmer and his cobra. 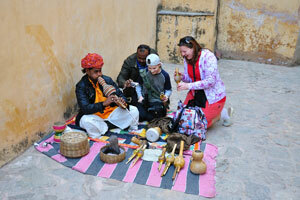 Snake charmer explains how to play the pipe. This scary cobra is not dangerous. 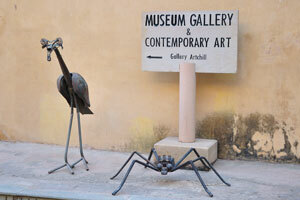 Museum gallery and contemporary art. 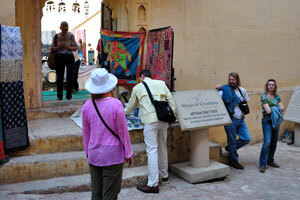 Artisan craft shop "Magical Creations". 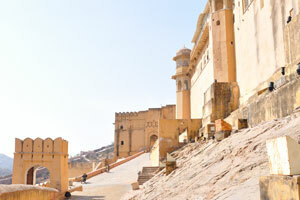 This path connects the Suraj Pol square with the main part of Amber Fort. 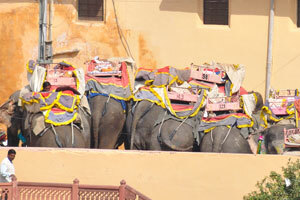 The elephants with tourists on their backs passed through Suraj Pol entrance. 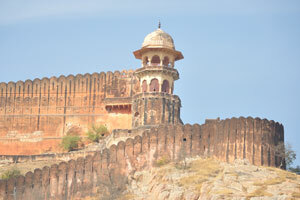 The majestic view of the fort. Walls of second and third courtyards from outside. 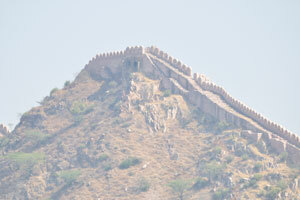 The defensive walls cover all the peaks of hills. The defensive wall merges with the rock. 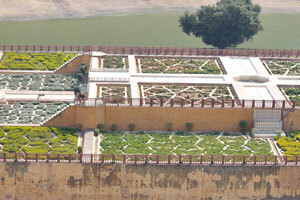 Star-shaped flower beds of the Kesar Kyari Bagh. 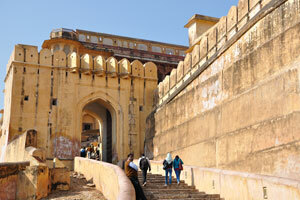 All pedestrians have to pass through green park before getting to the Amber Fort. 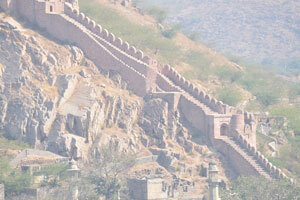 Spherical panorama 360° « Jaigarh Fort as seen from the back side of the Amber Fort ». Click on this image to open up a 360° panorama. 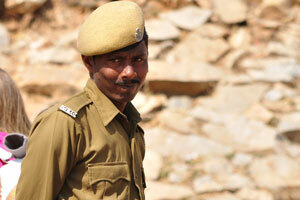 The guard watches over us. 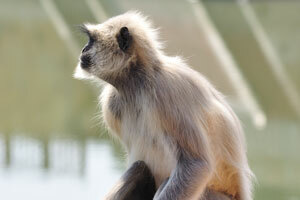 Girl tries to photograph the monkey. 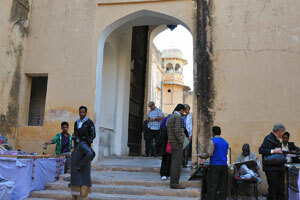 Stall of the elephants working on the Amber Fort. 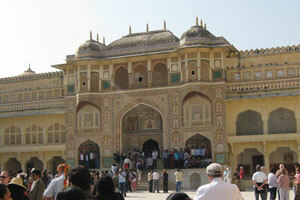 The shimmering gateway is called Ganesh Pol. 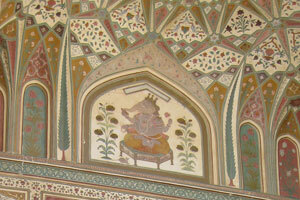 Details of painting on Ganesh Pol.